Piggybee is a platform that connects people who want to buy or ship something between travellers, on both domestic and international routes. They've also got lots of rewards and safeguards in place, so you don't have to worry about a thing. Most Indians get electronics shipped from the US and we also know people who get makeup products (hello, Fenty and K-beauty essentials) via relatives travelling to India because it's cheaper and well, they've got more options too. But for when you don't have any relatives visiting from other countries and need something ASAP, PiggyBee is a great alternative. All you need to do is, search for a traveller commuting on your desired route, get in touch with them via PiggyBee's online secure mailbox and discuss the price of the delivery (price of the product you want + the tip). You'd have to pay the negotiated amount which will be locked on PiggyBee's secure payment portal and transferred to the traveller only once the package is delivered and you give them a rating. PiggyBee's also a great way for you to make money while travelling. You can post your trip route on their website (say, Delhi to Milan) along with the arrival and departure details. Based on your itinerary, you'll get a list of requests and you can choose to accept or decline them according to your convenience. Travellers can then discuss the amount, tip and practical details of delivery for the requests they do accept. Once you deliver the package and leave a rating for the requester, the money is transferred to the messenger's account. 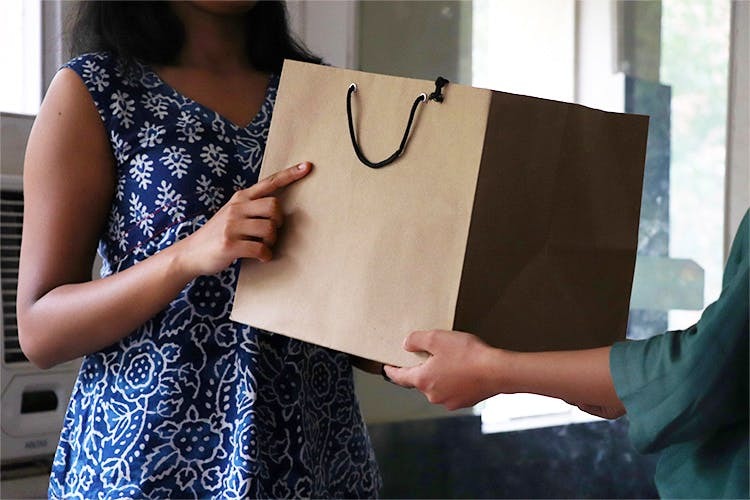 For starters, because crowdshipping (what PiggyBee does) solves a lot of problems like that of paying heavy shipping charges, cutting down on the shipping time and lets you meet new people too. For someone who's dropping off packages while travelling, PiggyBee helps cut down travel costs. Plus, the tip doesn't necessarily have to be monetary. You can even crowdship in exchange for accommodation, a ride from the airport to your hotel or even free meals. In case you want to stick to monetary returns, you can follow PiggyBee's rough tip estimates here while negotiating. This company started in 2012, has a lot of safeguards in place (read insurance, evaluation systems & more) to ensure a hassle-free and protected crowdshipping experience. Here's what press companies around the world have to say about PiggyBee (Psst.. also featured on Ric Edelman's NYT Bestseller - The Truth About Your Future). Check out their website here and follow them on Facebook here.